The PR Lawyer: Are You Using Google Images Responsibly? Are You Using Google Images Responsibly? Everyone loves Google Images. Almost from the moment of its launch in 2001, it became the most convenient visual reference tool in the history of the human race. It’s only natural, then, that many people head straight to Google Images when they’re looking for a photo or illustration to use on their website, in a firm newsletter, to illustrate a blog post, or for any number of other uses. The problem is that virtually anyone who does this is violating copyright and stealing intellectual property. The vast majority of the images found in the results of a Google Images search are owned by someone, somewhere, and each owner is entitled to compensation for use of their image. The only exceptions to this rule are images which are in the public domain. 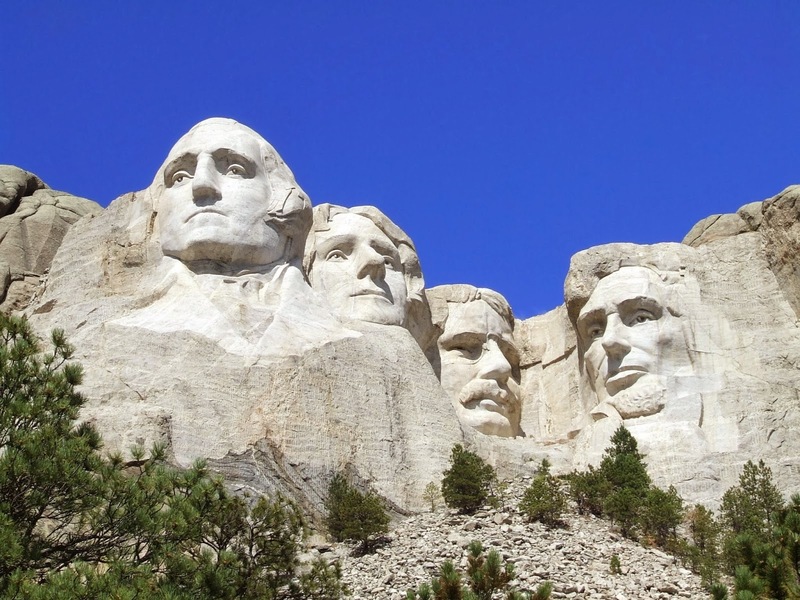 For example, any image created by an officer or employee of the U.S. government during the course of their duties – such as this U.S. National Parks Service photo of Mount Rushmore – is free for public use. But when it comes to private companies and individuals, a published image is automatically endowed with copyright unless the image’s owner specifically declares the image to be in the public domain. Bottom line: The fact that an image appears in a Google search does not mean it is free for the public to use – a fact that is still lost on a great many people. The length of copyright protection varies depending on when the image was published, but is usually a 75- or 90-year period that starts with the author’s death. Cornell University’s Copyright Information Center maintains a useful guide to copyright terms that you can find here. So how do you know which images you are free to use? 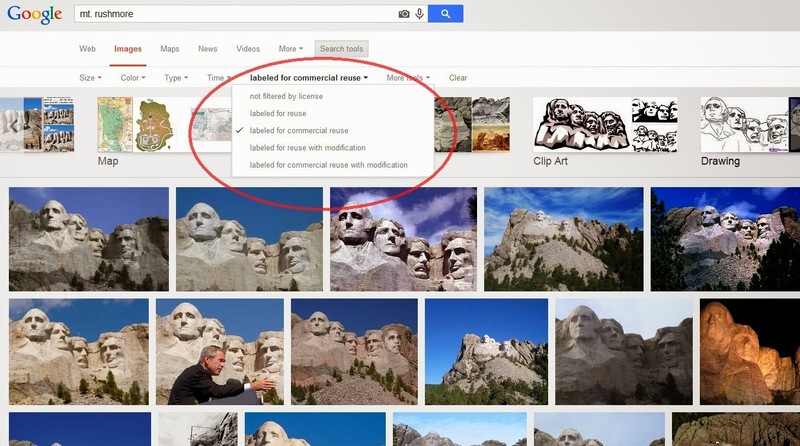 Google provides tools to help you avoid violating copyright. Both the Advanced Image Search and the default Google Images results screen offer controls that let you limit results based on usage rights. Even then, most images that appear as labeled for reuse are actually under Creative Commons licenses. All Creative Commons licenses require a user to credit the image’s author or owner when using it, and many of the licenses have additional restrictions. Some, for example, prohibit use of the image for a commercial purpose. An excellent overview of the various Creative Commons licenses is available from ArsTechnica, a respected technology news website. Flickr, one of the most popular online image galleries, also has a specific page dedicated to types of Creative Commons licenses, and helps users search for images they can use in accordance with those different licenses. Courts in Australia, Germany, Israel, Belgium, and other countries each have upheld authors’ rights to works that were released under a Creative Commons license and later used non-compliantly by another party. Creative Commons licenses have yet to face a definitive court challenge in the United States – and we advise our clients to respect Creative Commons licenses and avoid becoming the defendant in the U.S. test case. Of course, you also can try to locate the original owner of an image to request permission to use it. A copyright holder might appreciate your courtesy enough to grant permission, free of charge. However, it is often difficult to trace an image back to its original owner, especially if it has been shared and reshared, however unwittingly, by others who used it without first gaining permission. In addition, there are very limited circumstances under which a copyrighted work, or parts of it, may be used without providing compensation to the copyright holder. Such uses fall under the fair use doctrine, which we’ll explore in a future blog post.